Any business can invite its customers to write a review to Google, without paying Google a penny. No independent site can come close to Google for visibility (see screenshots below). 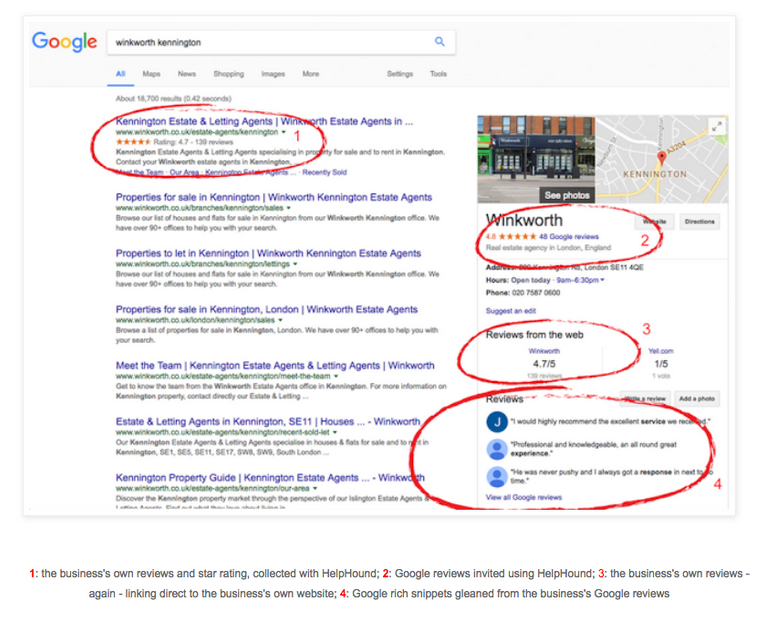 Score and link straight to reviews in the knowledge panel - the reviews tab front-and-central in mobile search - even without the schema in organic search and 'Reviews for the web' it trumps all the independent sites hands down. For us this is the clincher. Anyone can write a review to Google - and, yes, that can include fakes (competitors or disgruntled ex-employees) but that is a strength, not a weakness. These fakes are so easily spotted - and, after all is said and done, the business has an automatic right-of-reply to every review, so they are at liberty to 'out' them as well. The positive, which far outweighs any negatives, is that Google reviews have, for some years now, had to be attached to a G+ account. Just look at this review - does it look 'fake' to you? Written by someone who had simply been on a viewing, so strictly speaking not a 'customer', but would you want a system that excludes people like this? The question businesses should be asking themselves is not 'which reviews solution should we adopt?' but 'why shouldn't we adopt Google as our reviews solution?' Our answer to that? 'No reason whatsoever'. So where does HelpHound come in? And on top of all that we are here to keep you up-to-date with developments in the reviews world - making sure you are making the very best of all the opportunities out there, all the time. How about this for Christmas cheer? Purplebricks - the Emperor changes its clothes?